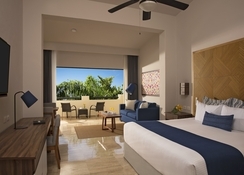 Set in a tropical landscape of lush palm trees, seemingly endless beaches and a sparkling azure sea, the Now Sapphire Riviera Cancun hotel has been welcoming families and couples for a long time. Featuring spacious and well-appointed suites, the award-winning hotel provides ‘all-inclusive’ packages, which include, among other things, unlimited access to drinks, gourmet a-la-carte restaurants, 24-hour concierge services, room services, pool and beach wait services, free entry to theme parties, oceanfront bars and entertainment venues. Guests can also enjoy free Wi-Fi services and unlimited calls to the United States, Mexico and Canada. The hotel also features an outdoor pool, a private white-sand beach, activity clubs for kids & teens, watersports and plenty of family-friendly entertainment. The hotel enjoys a fine location in the beautiful city of Puerto Morelos, a seaport in the state of Quintana Roo, on the eastern side of Mexico. 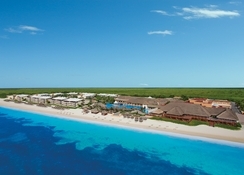 The town is located in the northeast side of the state, about 36km from the resort town of Cancun and about 39km from Playa del Carmen. The vibrant city of Merida, steeped in the rich history of Mexico and another popular day trip spot, takes little over three hours to reach. The Cancun International Airport is about 22km from the hotel. 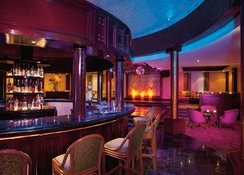 The hotel features 496 suites, each wonderfully decorated in the vibrant tones of the Caribbean. 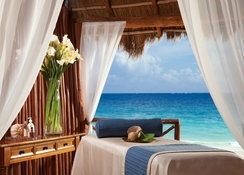 The rooms are divided into the following categories: Deluxe Junior Suite Tropical View, Preferred Club Junior Suite View, Preferred Club Junior Suite Ocean Front View, Preferred Club Junior Suite Beach-Front View and Preferred Club Governor Suite Ocean View. The rooms come with king-sized bed, separate living room, patio lounge and a host of amenities. Preferred Club guests enjoy all the privileges associated with Preferred Club. The hotel features five a-la-carte restaurants, a buffet, a grill and a café. 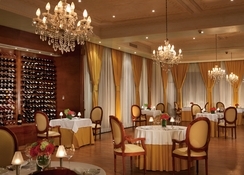 The Bluewater Grill serves seafood specialties, while Cibu serves Mediterranean cuisine. Fresco is well-known for Mexica cuisine and Lemongrass for Asian. French cuisine is served at the Paramour and international buffet served at the Market Café. Barefoot Grill serves some of the best grilled dishes. Coco Café is a premium deli, which also serves great coffee. 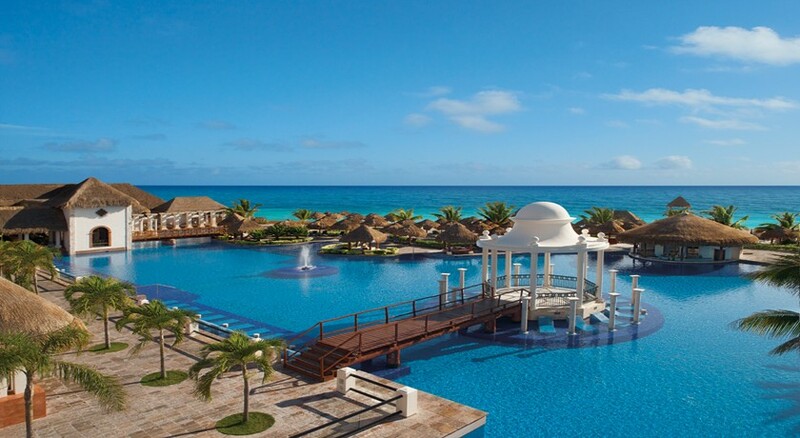 Additionally, the hotel has a pool bar, a swim-up pool bar, a lobby bar and a night club. There is something for everyone in the hotel: from pool lounging to relaxing in the 1,950 square feet spa to shopping in the nearby shops. The Now Spa provides a host of treatments, baths and massages. 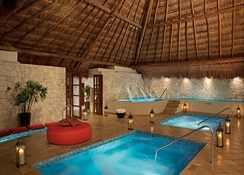 For relaxation, take a dip in the outdoor pool or lounge on the private beach. There are separate clubs for kids and teenagers. The hotel also conducts nature-conservation activities such as turtle-release program and golfing classes. You can also explore Riviera Maya on exciting tours and excursions, most of which are conducted and/or arranged by the hotel. The hotel and staff was amazing. We felt so welcomed and it was very clean. Lots to do and see and the onsite restraunts has so much choice.